Zoloti Vorota is a city centre Metro station on the Green Line. 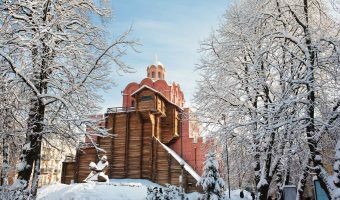 It takes its name from the adjacent Golden Gate (Zoloti Vorota), a replica of the 11th century fortified entrance to the city. There are plenty of restaurants and bars in the surrounding area. 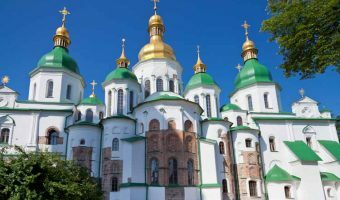 Nearby tourist attractions include the National Opera of Ukraine and St Sophia’s Cathedral. 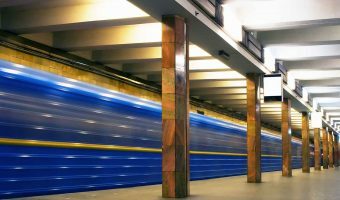 Passengers can transfer to the Red Line by taking the underground walkway to Teatralna Metro Station. Adjacent stations on the Green Line are Lukianivska and Palats Sportu. 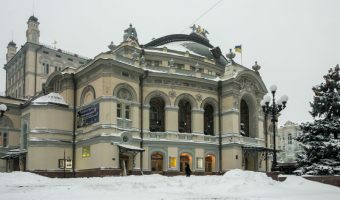 National Opera of Ukraine (0.1 miles) - National theatre offering a wide repertoire. Restaurants near Zoloti Vorota Metro Station include. Mafia - Bohdana Khmelnytskoho Street (0.2 miles) - Restaurant offering Italian dishes and sushi. Open till the early hours. Bargain prices. Near the National Opera of Ukraine. Avalon (0.2 miles) - Popular, multi-level entertainment complex. Includes a restaurant, bar, and nightclub. Highly recommended. Attracts a beautiful crowd. Taras Bulba (0.2 miles) - Family-friendly Ukrainian restaurant. Traditional interior. Offers a huge selection of inexpensive varenyky (dumplings). Just a short walk from Khreshchatyk. True Burger Bar (0.2 miles) - Cosy gourmet burger restaurant. Close to the National Opera of Ukraine and St Volodymyr’s Cathedral. Whisky Corner (0.3 miles) - Upmarket whisky-themed restaurant. Offers a huge selection of whiskies. Very professional service. Located between Independence Square and St Sophia’s Cathedral. Shato Robert Doms (0.4 miles) - Pub with its own brewery. 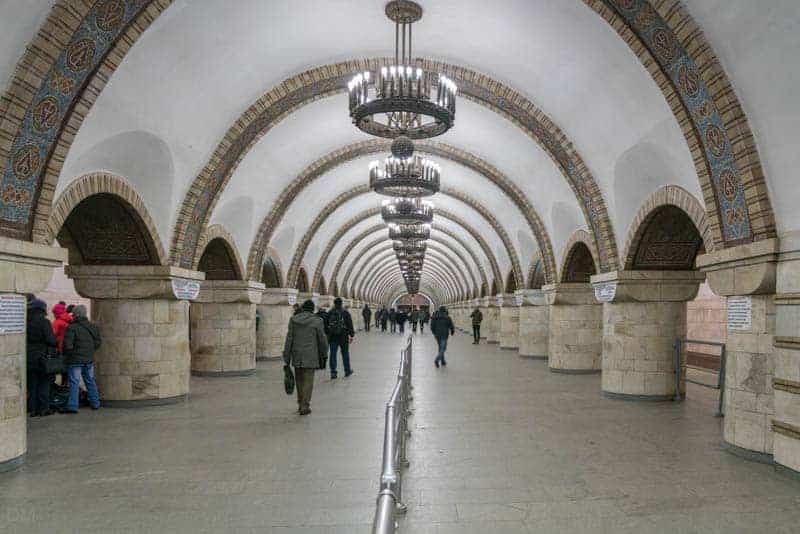 Enjoys a great location on Khreshchatyk, just across the road from Khreshchatyk Metro Station. Outdoor terrace, open in the summer, is great for watching the world go by. O'Panas (0.4 miles) - Tradtional Ukrainian restaurant in Taras Shevchenko Park. Fantastic wooden interior. Barman Dictat (0.4 miles) - Excellent bar on Khreshchatyk. Beautiful interior with huge sold wood bar. Shelves behind the bar house thousands of different drinks from all over the world. Staff need ladders to reach some of them. Live music most evenings. Smoking room. Difficult to find. Go into the courtyard at 44 Khreshchatyk and head to the building on the left. The bar is behind an unmarked doorway. Go down the stairs after entering. Last Barricade (0.4 miles) - Restaurant themed around modern Ukrainian revolutions. Interesting interior and lively entertainment. The restaurant is hidden and difficult to find. Entrance is an unmarked door in a corridor at the upper end of the entrance to the Globus shopping centre on Independence Square, near the Billa supermarket. Smorrebrod (0.5 miles) - Cafe offering Danish comfort food. Located in the city centre, just off Khreshchatyk and close to Independence Square. Spotykach (0.5 miles) - Contemporary Ukrainian cuisine. Unique atmosphere and great service. Located near St Sophia’s Cathedral. Tres Francais (0.5 miles) - Cosy French bistro. Enjoys a great central location, just a short walk from Independence Square. 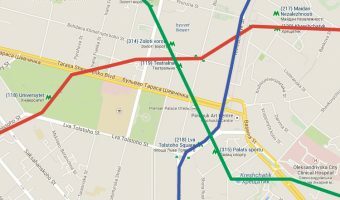 Map showing location of Zoloti Vorota Metro Station. Replica of the 11th century entrance to the city.